A long time ago, I wrote an article on How to get the Global Address List programatically. The theory behind that article is still valid, but it only features a VBScript example. Since someone from the Microsoft Exchange Forum had trouble converting it to C#, I fired up Visual Studio and hacked something together. The result is somewhat more complete than the VBScript example, because it allows access to all address lists, not just the default global address list (GAL). 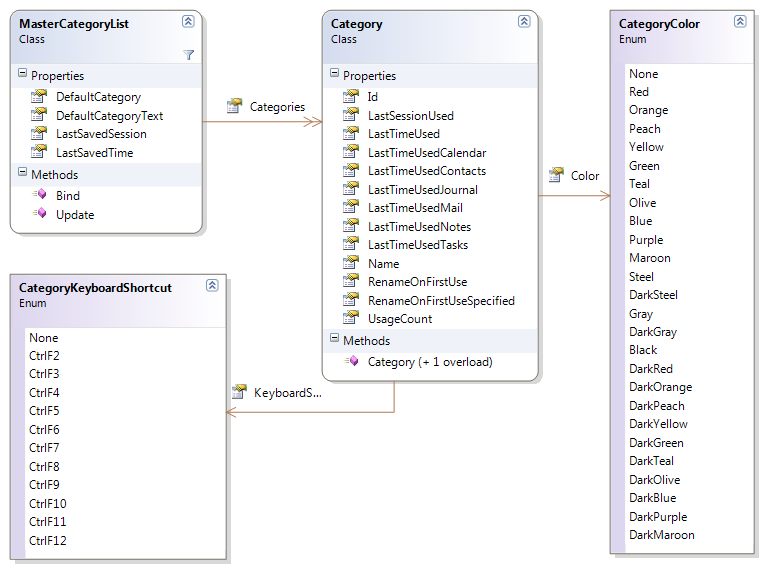 The sample wraps the whole logic up into two classes: ExchangeAddressListService and AddressList. The first serves as some kind of entry point and the latter allows access to the members of a list. I’ve moved to Office 365 for my private mails a while ago and. 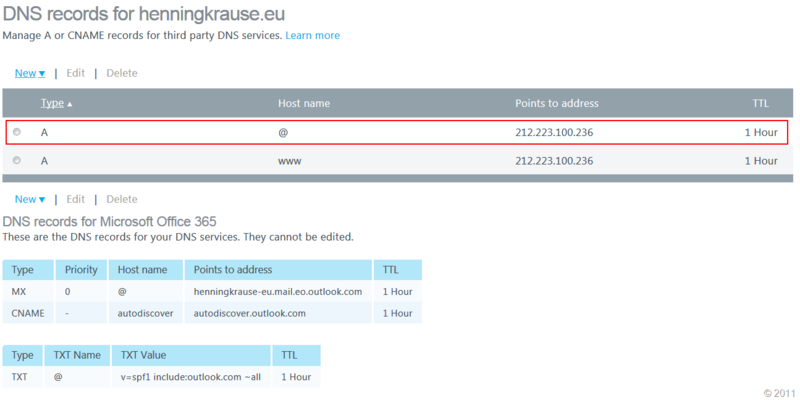 Up to now, the provider hosting this website was responsible for the DNS entries. But now I moved the entire DNS authority to Microsoft for my primary domain. This lead to the unfortunate incident that I was unable to send mails to GMX (one of the largest free mailer in Germany). Thanks to a tip from Daniel Melanchthon I was able to resolve the issue fairly quickly. The entry in question is the one highlighted in red. The host name "@” specifies that the A record is to be created for the domain itself. The interesting thing is that it is not relevant to which IP address the A record points. It just needs to be there. If you experience the same issues and don’t have your own website, just point it to any IP address. After I created the domain, I was able to send mails to GMX again almost immediately. Don’t do that! A query using this ItemView will put a severe burden on the Exchange server if the folder being queried contains many items. The pageSize parameter is there for a reason. Instead of querying all items at once, one should do a proper paging: Query, say, 512 items and process them. Then, query the next 512 items. Thanks to iterators in C#, the process of retrieving the items can be completely separated away from the processing. If you are not familiar with C# iterators, have a look at this article. In essence, the yield operator allows for deferred execution, something you might heard from with regards to LINQ. Here is a helper method which uses this technique to iterate over the contents of an Exchange folder, requesting 512 items per batch and returning them to the caller. When used properly, this method uses very little resources on the Exchange server as well as on the client. Additionally, it allows for querying the body of an item. In this case, instead of executing a FindItems request, it executes a FindItems request and a LoadPropertiesForItems request per batch. Due to the nature of the method, you should not put the items returned from the methods in a List, as this would consume a lot of memory on the client. Instead process the items one by one. // for the FindItems operation. // Load the properties, including the body using a GetItem request. As you can see, this method uses several .NET 4.0 features: Optional parameters and extension methods. So, if you are still using .NET 2.0, you’ll need to modify the code a little bit. Every now and then people in the Exchange development forum asks whether the ItemId returned by a FindItems call is unique or not, because they allegedly got duplicate ids for one folder. The short answer to this question is: Yes, ItemIds are unique. And you are seeing duplicate ids because you are probably performing an incase-sensitive comparison. These ids differ only in the 5th char from the right. The first one has a capital ‘A’ and the other has a small ‘a’ at that position. This can happen because the item id is base64 encoded. Base64 is way to represent binary data as ASCII text. A numerical value of 5 is encoded as a capital “F” and a value of 31 is also represented by an “f” - albeit a lower-case one. 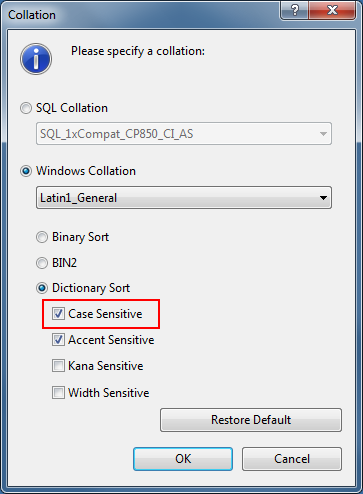 Ensure that the checkbox labeled “Case Sensitive” is checked. Click ok and then save the table. Note: If you do this via the SQL Server Management Studio, it will recreate the entire table (including data, indexes and constraints). Depending on the size of the table, this can take quite some time. You need to adept the script to your environment. Albeit from the name of the table, you might have chosen a different data type for the ItemId column. 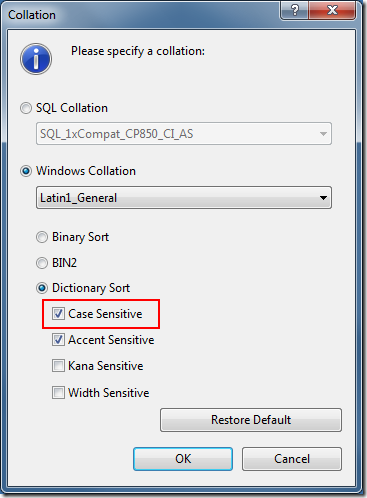 This select statement will perform a case-sensitive search on the table. Todays post is a small detour from the regular Exchange related posts. The other day I was troubleshooting an issue with a program. It did not behave as expected in production and so I fired up WinDbg to inspect the value of some objects. I attached WindDbg to the process in question and load psscor4, a replacement from Microsoft for the standard SOS extension (Note that if you want to use psscor, you need the right version: Psscor2 is for .NET 2.0-3.5 software. Psscor4 is only for .NET 4 programs). The WinDbg results I present in this article are not from the process I actually examined. I hacked together a small sample program instead. The sample class creates instances of a class named Person. A Person class has two properties: A name (string) and an age (int). The object instance I’m looking for is named Mallory. The goal is to get a look at the object instance with a call to !DumpObj. So all I need is the memory address of the Person instance named Alice. This should be easy. So here we go. First, load the SOS extension. Since I ‘m examining an x64 process, I ‘m using the X64 version of psscor. Loading the heap objects into our cache. The nice thing about !DumpObj is that it prints string values directly to the console. In this case, the value is Bob. Ok, so this is not the instance I’m searching for. Hmm, just to check one instance for its name, I have to issue two !DumpObj commands and do a lot of copy-and-paste to copy the addresses from the console to the command line. And in this example, there are only 20 instances. In the process I debugged, there were much more. There must be a better way to do this. A colleague of mine jumped to help and together we indeed came up with one. Get a list of the addresses of all Person instances. Print out the address of the Person instance along with the string value of the <Name>k__BackingField. For each entry in the list returned by the command between the first pair curly braces, the variable entry is populated with the value and the command sequence between the second pair of curly braces is executed. The example above just prints out the value itself. Streaming notifications do not work this way. Instead, you can use a combination of notifications and the ExchangeService.SyncFolderItems method. The SyncFolderItems method gives you a snapshot of the changes that occurred in a particular folder. This method also returns a small cookie that contains information about the synchronization state. You can pass this synchronization state to subsequent calls of the SyncFolderItems method to get all changes that have occurred since that synchronization cookie was first issued. You should persist this synchronization state somewhere (either on disk or in a database) so that the application does not need to process all of the items in the folder gain. After your application starts, use the SyncFolderItems method to process all unprocessed items in the folder. Create a streaming notification and connection as specified earlier in this article. Use the SyncFolderItems method again to process all events that occurred since the last synchronization and before the subscription was activated. On each OnNotification event, use the GetItem operation to get additional properties of the specified items. Call the SyncFolderItems method periodically to update the local synchronization cookie. This makes the application seemingly more complex than it needs to be because your application must be able to deal with different change notifications: Those from the streaming subscription and those from SyncFolderItems. Additionally, once a notification is received through the streaming subscription, the synchronization state from the last call to SyncFolderItems is stale. The application must now deal with the situation that the initial call of SyncFolderItems on an application restart might return changes which already have been processed by the application. The application needs to deal with this situation. Mike asks whether it’s ok to ignore the item ids specified in a notification and just use the SyncFolderItems method on each notification. Using this approach, the synchronization state returned by the SyncFolderItems method would always be current and the whole application design would be more simple. The answer is: It depends. If you have a low-volume application and your Exchange server is not used at full capacity, this might be ok. If you are writing an in-house application where you know everything about your infrastructure, this might be acceptable. But keep in mind that an application might run several years and the server load of your Exchange Server might go through the roof during the lifetime of your application. And if you are a software developer who sells his application to (hopefully) many customers, you don’t know anything about the performance situation on these servers. So it is best to conform to best practice and use the rules I outlined in the article. The mail headers are exposed on the EmailMessage as first class property: InternetMessageHeaders. However, Exchange also stores each mail header in its own property and defines a unique property set for it: PS_INTERNET_HEADERS. Exchange will parse the mail and set the value of the extended property defined above to “Yes”. This query will return the first ten messages which have said header set to “Yes”. Description: The number of named properties created for database "<database name>" is close to quota limit. Current number of named properties: <number of named properties>. Quota limit for named properties: <configured quota>. User attempting to create the named property: <user name>. Named property GUID: <GUID of named property>. Named property name/id: <name of named property>. Description: Failed to create a new named property for database "<database name>" because the number of named properties reached the quota limit (<configured quota>). User attempting to create the named property: <user name>. Named property GUID: <GUID of named property>. Named property name/id: <name of named property>. See this blog post on how to deal with this issue: http://blogs.technet.com/b/exchange/archive/2010/07/29/3410545.aspx. EWS could not be used at that time, since access to the Folder Associated Items via EWS is a Feature of Exchange 2010. So if you are on Exchange 2007, the old article still applies. The last article contained some code which simplified updating the list. I’ve updated the code and aligned the method naming with that of the EWS managed API. The only interesting line in the sample above is line 4. The call to MasterCategoryList.Bind() loads the MasterCategoryList from the users Exchange Mailbox. After that, the name of each console is written to the console. This will add a new category named “Vacation” to the list. The configuration data is stored in the XmlData property as UTF-8 encoded byte array. Just paste this script into an editor and save it as ps1 file. The script mainly consists of two function: GetUnreadInboxMails and ProcessResult. The former method retrieves the number of unread mails in the inbox of the mailbox of the specified user. The number of unread mails can be retrieved from a Folder instance: The UnreadCount property. The method returns the number of unread mails along with the mail address of the current mailbox. The other important function is the ProcessResult method. In this script it merely dumps the result to the console. The questioner in the post linked above can use this function to call his HTTP service to send a text message. The name of a CSV file containing the list of mailboxes to process. The first line should contain the column name “MailAddress” somewhere. The following lines should contain the email address of the mailbox in this column. A PSCredential object containing valid credentials to use for the Exchange access. The credential used for the script needs read access to the inbox folder of each mailbox specified in the file.